Video: Today Show with Dr. Berman. Video: Today Show: The Case for Boredom. 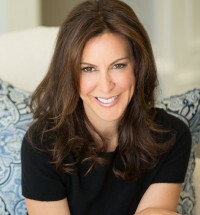 Robin Berman, MD, is a psychiatrist and a Reflective Parenting group leader. After completing her medical school rotation in child psychiatry, she realized that the best way to help children was often to help their parents, and thus began her life-long journey of parental education. After completing medical school and psychiatric residency at Rush Medical College in Chicago, Dr. Berman started a clinical practice and did psychopharmacological research. She co-authored a paper on perfectionism that was presented at the World Congress of Behavioral and Cognitive Therapies in Oxford, and which is still referenced in parenting books. She is an excellent speaker for schools, universities, PTA’s, and parenting groups and associations. Dr. Berman is the author of Permission to Parent (HarperWave), which teaches parents to be comfortable with being in charge, fostering children with greater self-esteem, respect, and resiliency. Throughout the book, Dr. Berman, whose extensive clinical experience helping parents and children navigate the emotional and psychological minefields of family dynamics, strikes the perfect balance of advice, anecdote and science in this essential parenting guide. Dr. Berman is an Associate Professor of Psychiatry at the David Geffen School of Medicine at UCLA, and runs her own clinical practice. Her interest is focused on increasing healthy child development by strengthening the parent-child bond. She is on the clinical faculty at the UCLA Women’s Life Center, which specializes in mental stability during pregnancy and post-partum. Dr. Berman is a founding board member of the Resnick Neuropsychiatric Hospital at UCLA, and is on the advisory board of Camila & Matthew McConaughey’s Just Keep Livin’ Foundation. She lives in Los Angeles with her husband and three children. "Permission to Parent is rich with wisdom, filled with laughter and heartwarming moments that any parent can recognize. This book is a powerful inspiration to rise to the challenge of being the best parent possible, and gives gentle guidance to getting there. Dr. Berman has written the how-to for being the parent we all wish to be." “Dr. 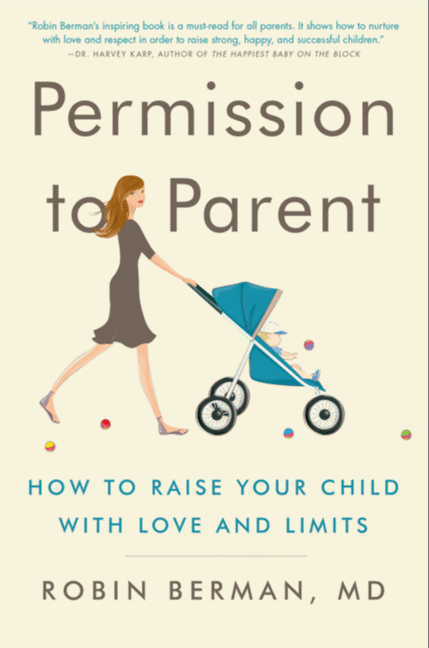 Berman’s inspiring book Permission to Parent shows how to nurture with love and respect to help raise strong, happy and successful children." " Permission to Parent is inspiring and empowering. Healing and Affirming. An enlightening blueprint for parents and grandparents on how to express and expand your love for your children and for yourself. Dr. Berman brilliantly and compassionately serves from the heart when guiding parents on how to do the most important work in their lives. She and this book are gifts to you and your family today and for generations to come." "A book that sets the tone for how to achieve the ultimate goal that all loving parents want, and their children need. Dr. Berman's thoughtful book sheds light on how to establish a trusting, loving and nurturing relationship with one's children, so that they will develop confidence, inner peace, and be ever-ready to meet life's challenges."